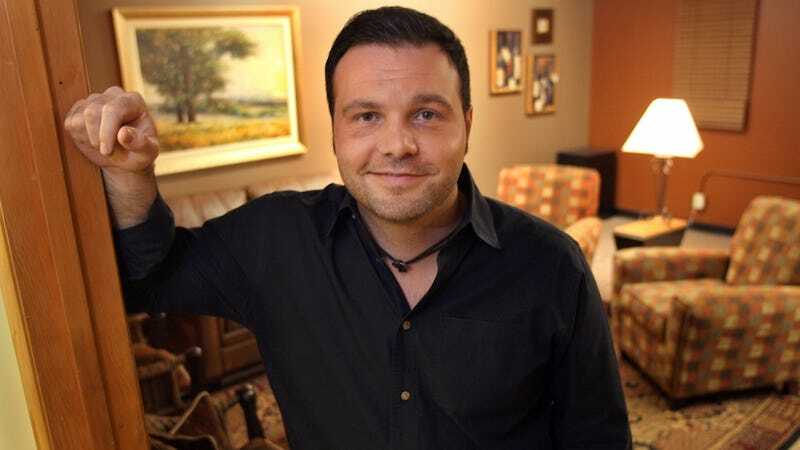 Things aren't going so great for Mark Driscoll and his Mars Hill empire. The latest: Church attendance has dropped like a rock, and now they're planning to consolidate branches and cut as much as 40 percent of paid staff. The church, which had blossomed to15 branches in five states and had followers around the world, also plans to cut 30 to 40 percent of its paid staff of about 100. That staff already had seen layoffs last spring and a string of departures in recent weeks by pastors angry or uneasy about the church's direction. A church spokesman said Mars Hill began the year with a combined attendance of 12,000 to 13,000 every week; it's dropped to 8,000 to 9,000. And it's no surprise, either, after a string of terrible headlines. For those who haven't been following the story, a summary: After accusations of everything from plagiarism to intimidation (the repulsive ideas about gender weren't an allegation so much as an obvious given), matters came to head in late August, when (as King 5 News reports) nine pastors from Mars Hill petitioned the church's elders to remove Driscoll. (That's in addition to the 21 former pastors who called for his removal, by the way.) On August 24, according to Religion News Service, Driscoll announced he'd be taking a six-week leave of absence while they investigate. Since Driscoll stepped back, though, one of the nine pastors says he's been fired. (Another, director of worship Dustin Kensrue, resigned last week.) That's according to OregonLive, which picked up the statement from pastor Mark Dunford. According to King 5 News's sources, the unpaid lay pastor was given the boot for "rebellion against the church." Charming. None of this looks particularly great for Driscoll, and it's clear the disaffection in his own community has reached critical mass. Let's put it this way: blogger Matthew Paul Turner, who's long chronicled Driscoll's antics, just announced he's done with the topic because "I no longer need to blog about Mark. People far better fit to tell the story are now doing just that–they're speaking up! And thank God they are. May they be heard." Oh, and: "Though you may believe your hand is shaped like a home, it is not." Just a little FYI, gents. First-rate theological thinking right here. I'm sure John Calvin would be so, so proud.